No sleeping on tour! Especially during the second movement! 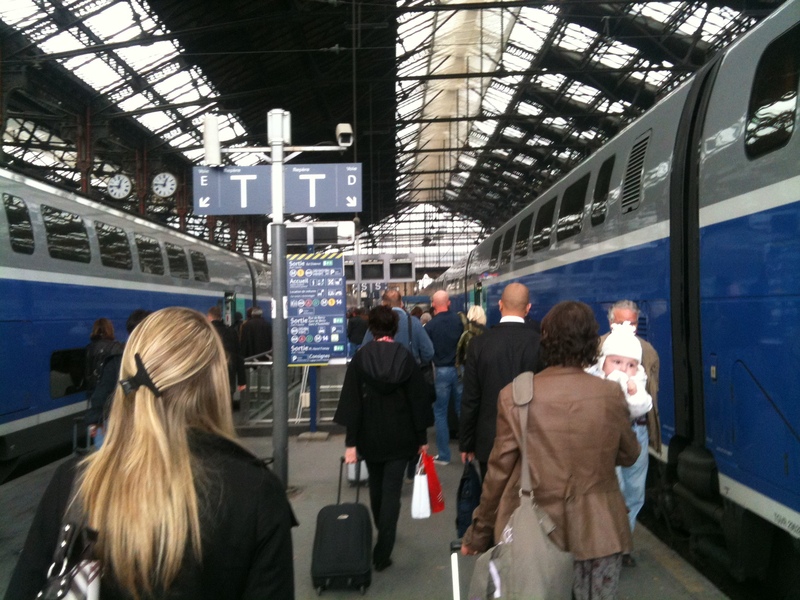 After a fine breakfast at the hotel the RLPO were dropped off at Marseille train station for the long haul to Paris. I rather like the French double-decker trains. If you are upstairs there is a great view. There is more space than we are used to in the U.K. and the restaurant cars, although slower, are a lot more sophisticated than ours. The choice of fayre is pleasantly surprising. 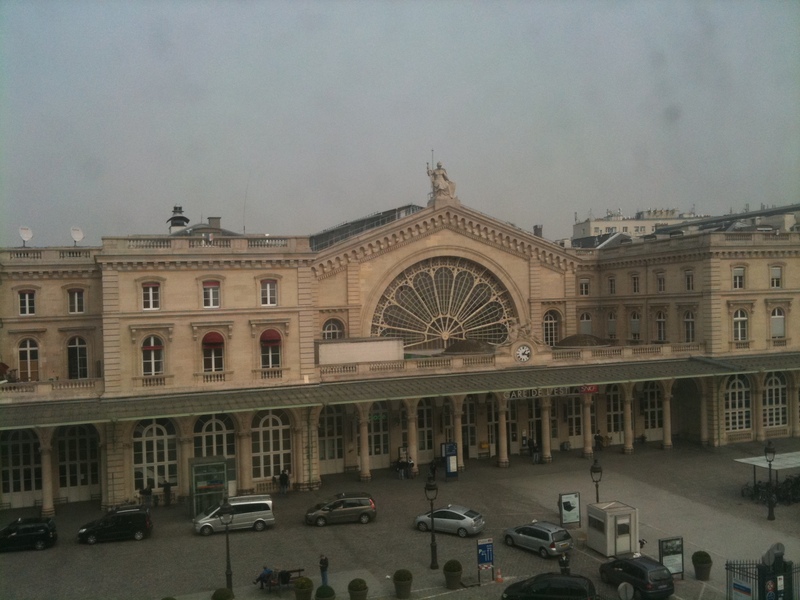 We arrived at Paris Gard du Lyon and travelled to our hotel opposite the beautiful Gare de ‘Est. Our hotel was directly facing the station. It’s always nice to have a good view. 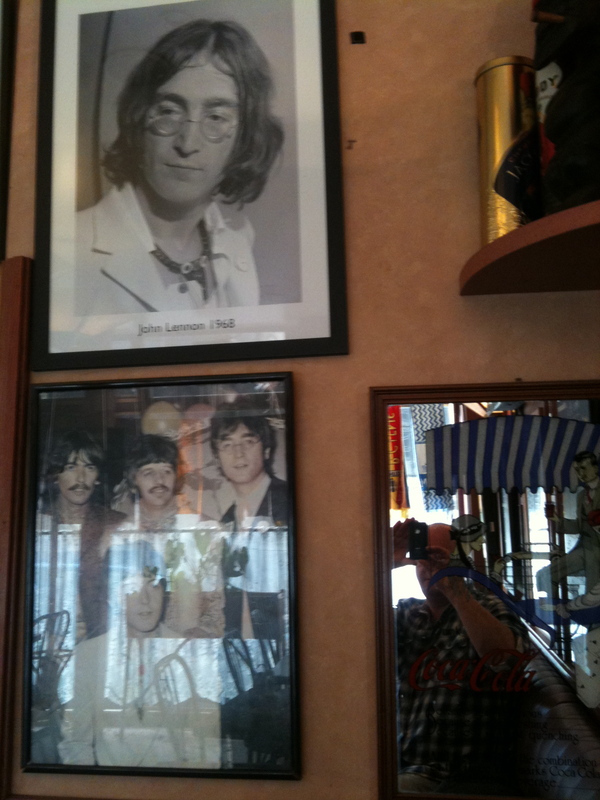 I strolled round the corner and into a bar to order a coffee; I was amazed to find that it was a Beatles bar: there is no getting away from Liverpool! We had a few hours to kill so I had a rest and the rest of the brass went off to see the sights. The coach arrived to take us to the Theatre de Champs Elysees. 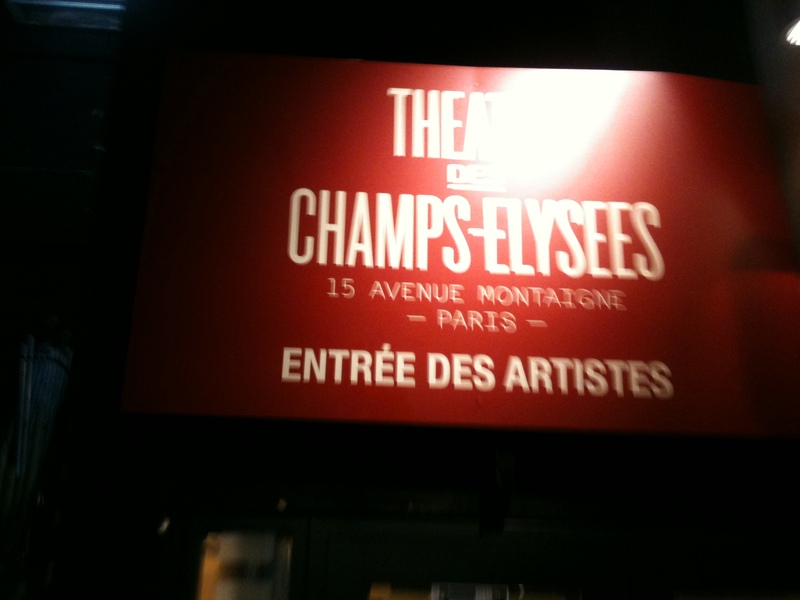 I was looking forward to playing in the Theatre Champs Elysee. 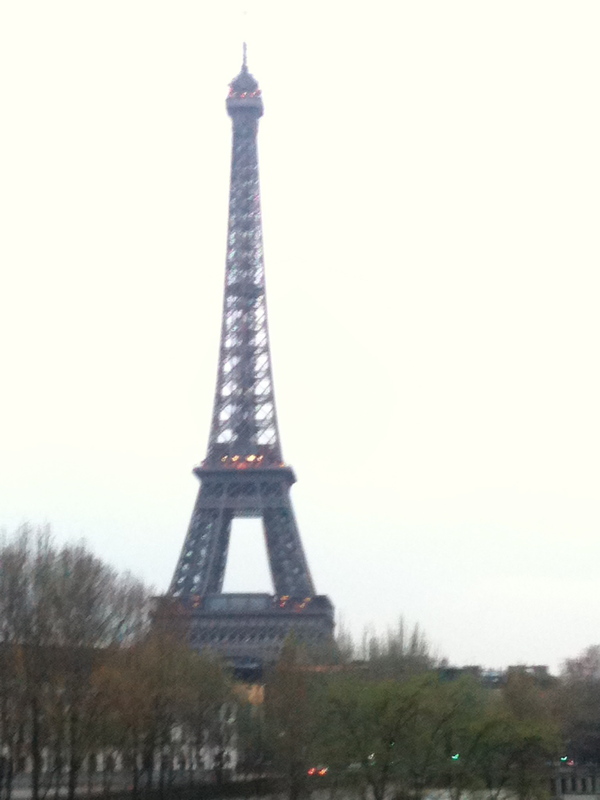 About twenty years ago I had done some concerts there with a French Orchestra, some film sessions and some T.V. work for a French chat show host called Jacques Martin. His morning Sunday show, a pun on words, was entitled ‘Dimanche Martin,’ and was the main event in that theatre. The orchestra would start the show with a bit of Elgar or something; Jacques Martin would do a routine; performing acrobats; some chat with Michel Legrand or someone; the orchestra would accompany the guest ‘turns’ etc. The Theatre Champs-Elysee is what we would call an old time music hall, variety theatre. It seems to house a lot of comedy evenings and foreign touring orchestras, nowadays. The theatre achieved notoriety when Stravinsky premiered ‘The Rite of Spring’ there. This ballet was so controversial that the audience rioted afterwards! It was a nice day in Paris, so far; so many members of the orchestra decided to make their own way in to the venue early to sample the food, see the sights and stuff. 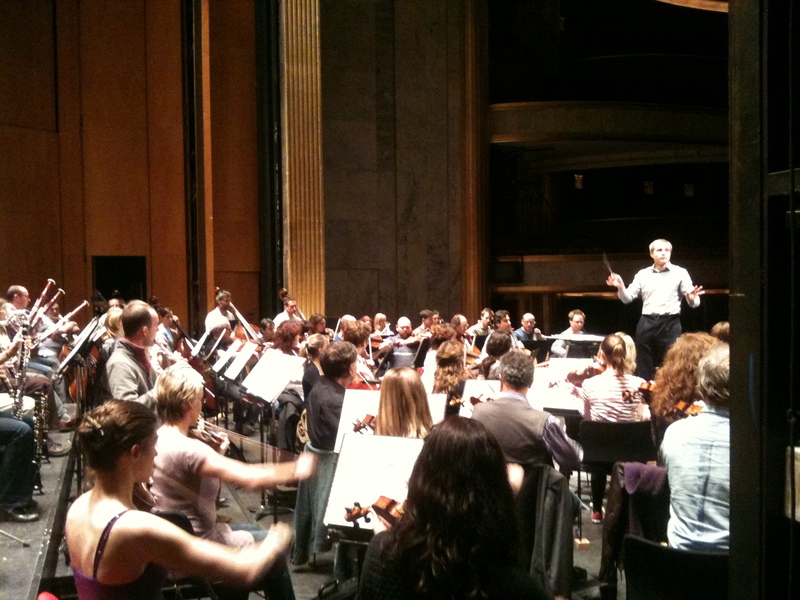 A few hours later, the coach arrived to take the remainder of the orchestra to the rehearsal. 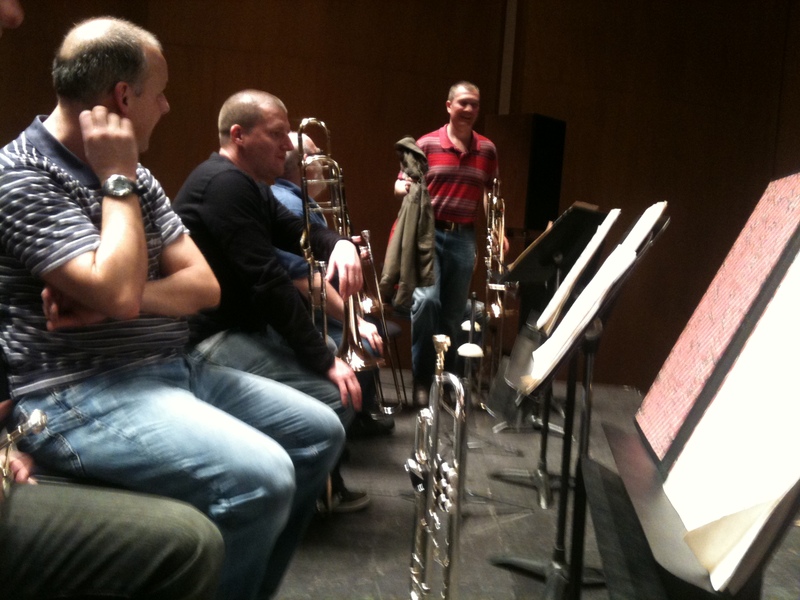 The rehearsal was due to start and no sign of the majority of brass players. 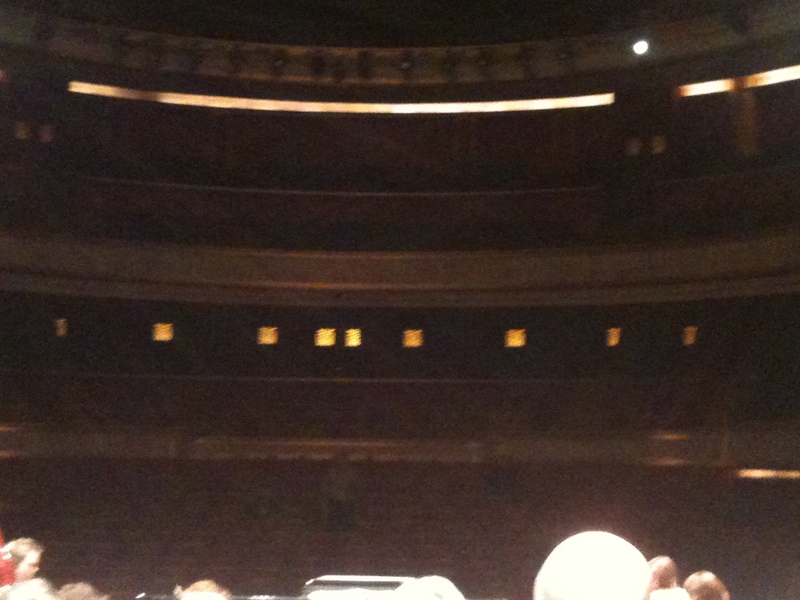 Only myself, Paul [2nd trumpet] and Blythe [2nd trombone] were on stage. petrenko raised an inquisitive eyebrow and Jane Moss [orchestra manager] was explaining something to him. It transpired that the others were lost. Paul and I considered ourselves fortunate that we had decided against going on the ‘wander’. After a bit of fuss the rehearsal continued and the rest of the brass turned up about 40 minutes later. During the break before the concert, I decided to take the short stroll from the theatre to the bridge to have a look down the Seine, see Notre Dame and to Photograph the Eiffel Tower. I only had an hour so I decided to just watch the light go down, take some pictures and get back nice and early for this important concert. We were expecting our senior management to fly out, the Friends of the Phil and the World’s music press to be in attendance for this sell out concert. I set off to walk the few hundred yards back to the Theatre de Champs-Elysees along what I perceived to be the correct way. A short time later it dawned on me that I was lost. Oh dear! All the streets looked the same, especially now the sun had gone down. How could I have gone wrong? I had been here several times before. I still had plenty of time, I asked plenty of concierges, taxi drivers and such. I was sent this way and that and began running. I still had about twenty minutes to go and I new I wasn’t far. I phoned the ‘spare’ brass, but they were too far away now; ten minutes to go! I phoned the orchestra manager requested that they ‘hold the show’ and panicked, wildly. I began sprinting down all the main streets roundabout, down alleyways; seemingly everywhere. The upshot was that I saw the building down a side street, sprinted towards it and noticed that it was now 8pm and the concert was due to commence. I careered through the stage door, up the stairs, etc backstage; and I still had to dress in concert gear. 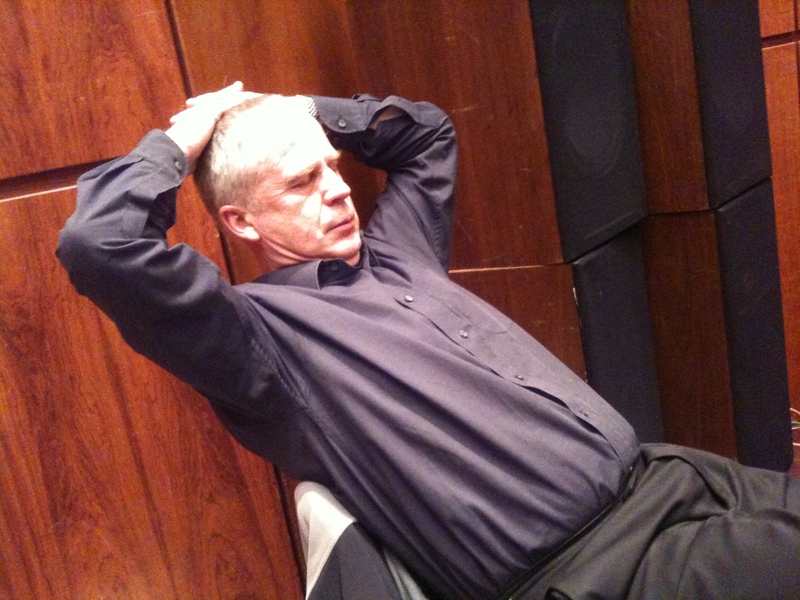 Vasily Petrenko was waiting to go on stage in the wings. as I proceeded to pull on my trousers and shirt. He said, “…Never mind the shoes. They are not necessary!” I walked briskly past, onto the stage, fastening my shirt cuffs, with no jacket or shoes and could hear the murmur from the packed audience behind me. I was very short of breath now; sweating, under-dressed, not-warmed up and about to play the rather prominent first trumpet part in ‘The Wasps’. Vasily made his entrance, turned to start, signaled that I should take deep breaths and off we went. Fortunately, all went well. Including the aforementioned encore, which the audience demanded at the end. One comment from another brass player was to thank me for taking ‘the heat’ off the rest of them for being late for the rehearsal in the afternoon! Matters didn’t end there, as I had to run the gauntlet of the ‘Friends of the Phil’ who had all come to the stage door to congratulate the musicians an an otherwise excellent concert. One said, “…Where were you?” I thought it best just to say ‘hello,’ walk straight on, not catching anyone’s eye! I also thought it best to have an early night in the hotel. Many confided in me afterwards that they had always dreaded the same thing happening to them. It was all like a scene from the film ‘Clockwise’ with John Cleese!